Did you know September 19th is Talk Like A Pirate Day? 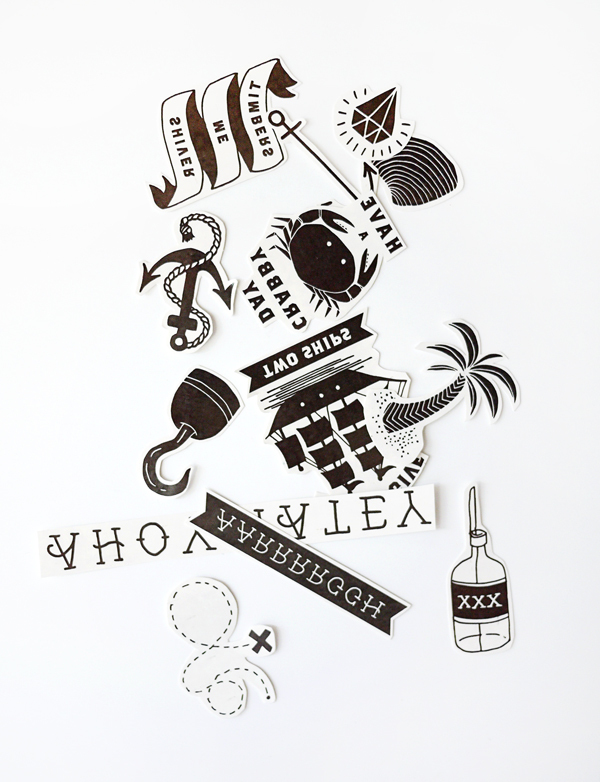 These printable temporary Pirate tattoos are the perfect accessory while you practice your most amazing Pirate speak. Anyone who sees you wearing these silly doodles will surely admire such nice aaaarrrrrt! (Hopefully you will come up with some better pirate puns). 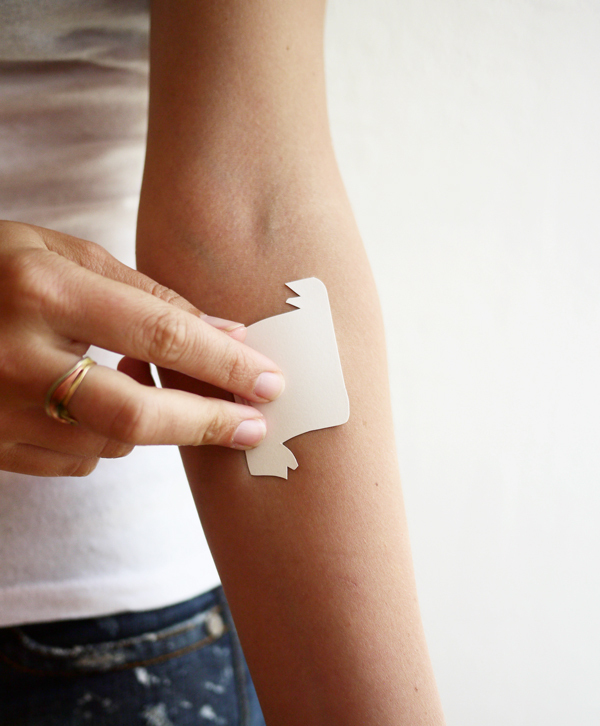 Materials: Printable Pirate Tattoos, Temporary Tattoo Paper, scissors. ***For best results follow the directions on the package but here is an overview. 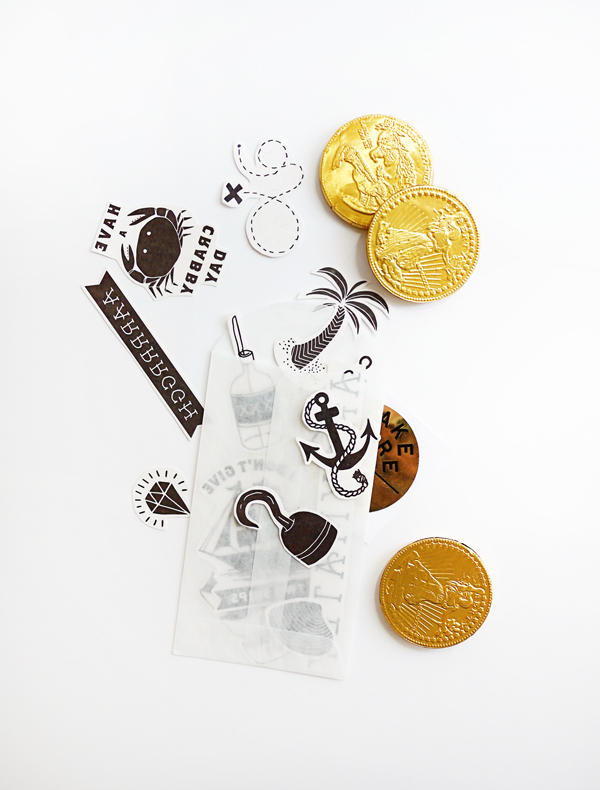 Step 1: Print out page the Printable Pirate Tattoos template on the glossy side of the white paper in your Temporary Tattoo Paper kit. Let the ink dry. 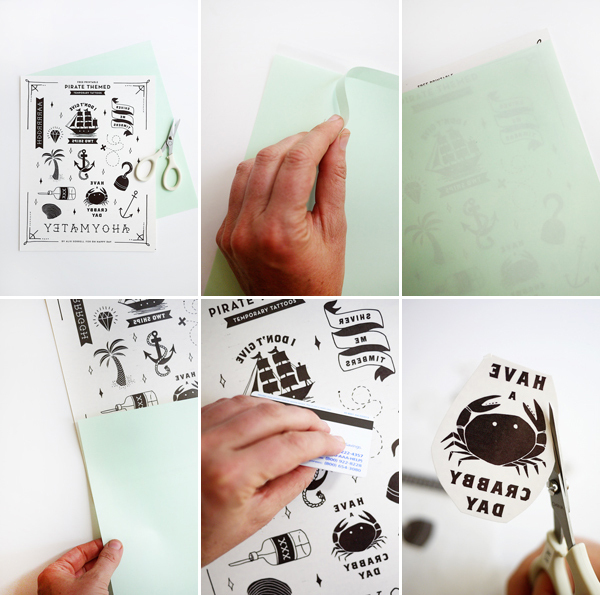 Step 2: Remove the top strip from the green sheet and align the green sheet (glossy side up) to the printed tattoos. 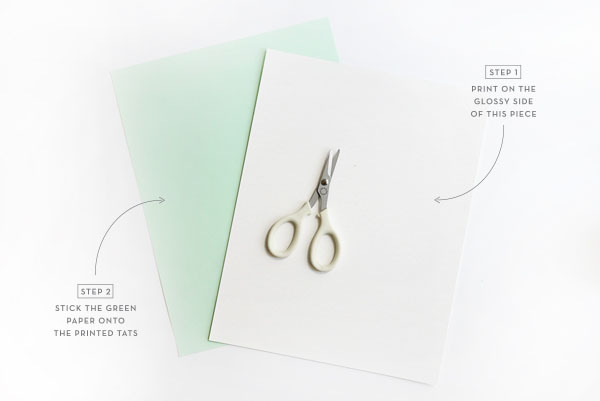 With the two pieces stuck together, slowly remove the green paper. Step 3: Use a credit card (or something similar) to smooth down the glossy top sheet & remove any bubbles. One this is done you an cut out all of your tattoos! Make sure to get as close to the artwork as possible so there is not much excess clear paper. 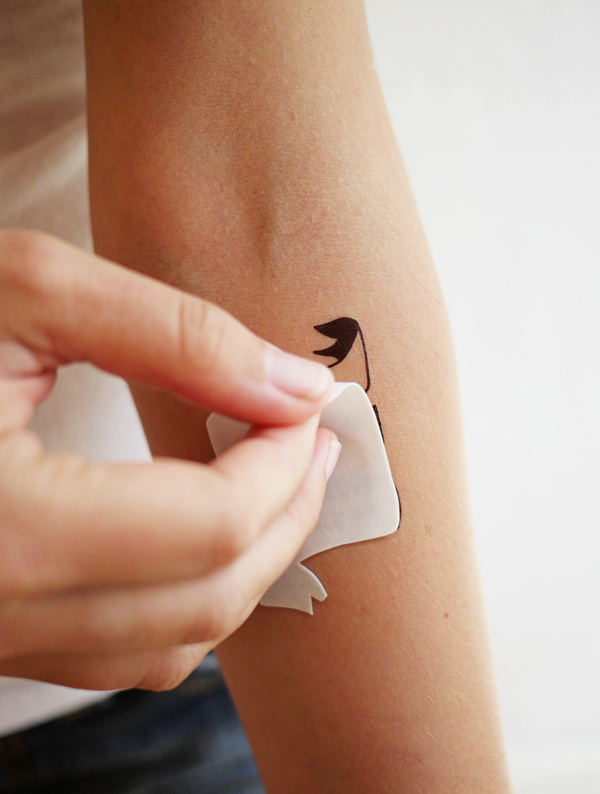 Step 4: Take one of the tattoos and peel off the glossy top sheet. 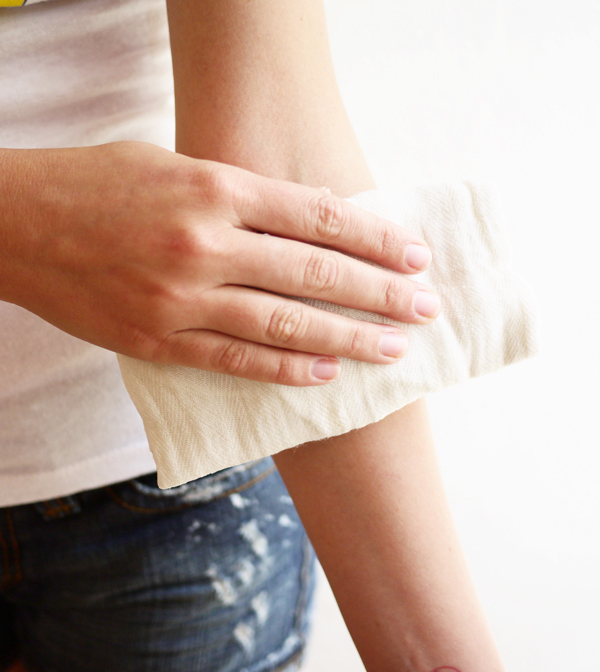 Place the tattoo down on your skin & hold a wet cloth onto the tattoo for 10-15 seconds. When the tattoo has set you can peel off of the remaining paper. 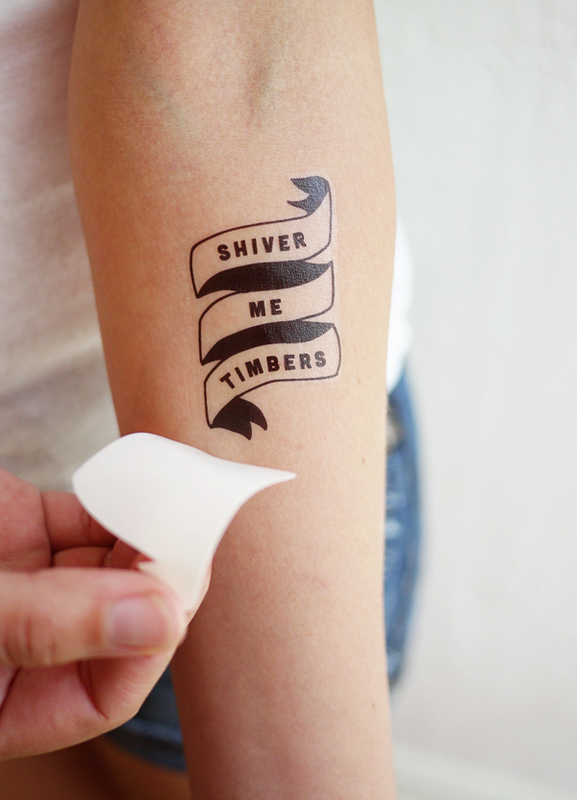 Step 5: Shiver me timbers, now practice your best pirate lines! I really need to make these! These are so fun! 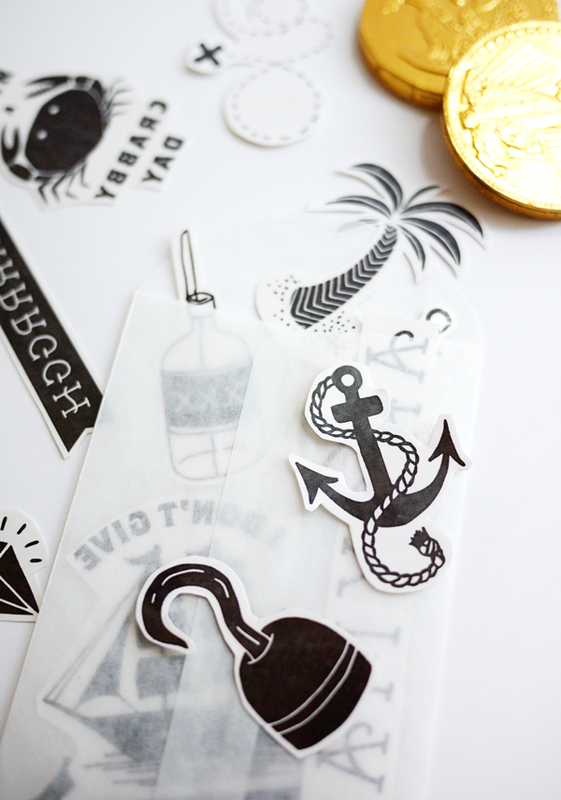 And I totally didn’t know you could DIY temporary tattoos!